WHAT IS AN ACUPUNCTURIST ALLOWED TO DO? A. An acupuncturist is allowed to engage in the practice of acupuncture, electroacupuncture, perform or prescribe the use of oriental massage, acupressure, moxibustion, cupping, breathing techniques, exercise, heat, cold, magnets, nutrition, diet, herbs, plant, animal, and mineral products, and dietary supplements to promote, maintain, and restore health pursuant to Business & Professions Code Section 4937. Inspiring the Next Generation in Integrative Medicine Located in sunny Los Angeles, Yo San University is a place dedicated to your personal growth and to your education as an integrative Traditional Chinese Medicine practitioner. Our students attain a level of excellence and professionalism unparalleled in the field. Drs. Dao and Mao are internationally-known and respected TCM practitioners. Their private practice, the Tao of Wellness based in Santa Monica, CA, is one of the largest practices in the country. 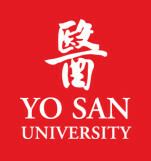 They established Yo San University as a pledge to pass on the teachings of their father, grandfather and ancient teachers of Chinese medicine to future generations—to provide students with a place of learning based on the guiding principles of Taoism, where each may explore his or her own spiritual growth as an integral part of learning the healing arts. A Diplomate of Oriental Medicine is a practitioner who is certified by the NCCAOM. It is a considerable professional achievement to earn the designation Diplomate of Oriental Medicine (NCCAOM®). 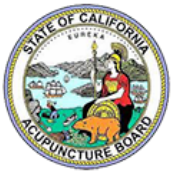 NCCAOM certification indicates to employers, patients, and peers that one has met national standards for the safe and competent practice of acupuncture and Chinese herbology as defined by the acupuncture and Oriental medicine (AOM) profession. National board certification in Oriental medicine has been the mark of excellence in AOM since the inception of the Oriental Medicine Certification Program in 2003. Every certified NCCAOM Diplomate must abide by the NCCAOM® Code of Ethics. The best results from acupuncture increase with a continued comprehensive treatment plan. A minimum of two sessions per week may initially be required to get full relief. Acupuncture was historically used as a preventative medicine practice and has now been applied as a treatment for disease and symptom management. Our program collaborates with Yo San University of Traditional Chinese Medicine, which supports ongoing education, training, supervision and mentorship in Masters and Doctoral level acupuncture trainees.